Last edited by 79seconds on 16 Feb 2006 04:45, edited 1 time in total. Could you please state the sources for your pictures? Except for the last two which is stated. I can btw. 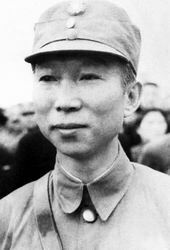 recommend http://www.hoplite.cn for information on Chinese generals. Sorry - Missed the img-tag. Please ignore my request. 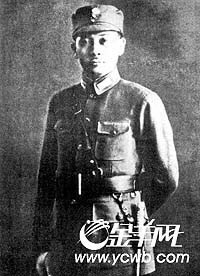 79seconds: Do you perhaps any biographical information for Lieutenant-General KAN LI-CHU (Commander of the 6th Army in Burma 1942) and Lieutenant-General LU KUO CH'UAN (Commander of the 93rd Kuomintang Division in Burma 1942)? 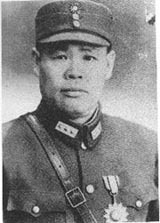 until 1950 he was killed in action in Dayao Mountain, Guangxi PRovince. 1959 Chiang Kai-Shek promoted Gan to General in Taiwan. 1949 Lv's army was defeated by PLA and backed to "Gold Triangle" doing business in Drugs. In late 1970s Lv came back to the border of Burma and China doing business. I am looking for a particular General in the Nationalist Army. He would have served in WWII of course, in the army. His name is An-Teh Liu. Has anyone here heard of this General's name? Or maybe he was not a general but an officer of lower ranking in the Nationalist army? I am desperately searching for some info on him. Thanks for the help in advanced! 79 seconds, would you please send more biographical information about Wang Yao-Wu?